Blogging is like a personal (or business) diary, but posted online. It is used for getting information about themselves and what they are doing at present and what they are planning for the future. At the same time creating blog entries with unique content is the best. 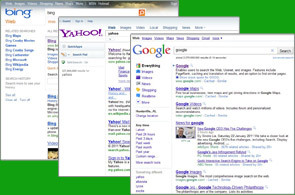 Search Engines are always crawling websites for new and unique content. By having blog entries on the web - strategically written to include your key words and terms, increases your importance in the eyes of the Search Engines. By using the Web 2.0 Blogging service your entries will get indexed and of course each of the entries will be linked back to your main website, which then gives your website more "weight" in relation to that search term. The more links to your website has (for a specific search term) increases your importance to the Search Engines. 1. We will create attractive blog sites that reflect your main website and color schemes, and related to the keywords or the product/service. 2. After that, by the help of our Professional Content Writers we are going to create blog entries for your product or service, that includes the anchor text linked to your main website. By clicking the text the user will be directed to your primary website. Each blog entry will consist of 3 anchor text links. 3. According to the package selection, we will promote each blog site with a number of top Social Bookmarking Sites. 4. By using this service, your main website will increase position within the Search Engines, which ultimately leads to more visitors to your website..
5. Once our work is done, we will send you the login details for each blog created, as well as the reporting for this service.